The neighborhood of Lincoln Park is located on the north side of Chicago. This diverse community, which is named after the city’s largest park that stretches along the Lake Michigan shoreline, has appealed to many young professionals, recent college graduates and young families who are looking for an upscale and vibrant, tree filled neighborhood close to the Loop. Within the boundaries of Lincoln Park are stores, eateries, schools, medical facilities and other amenities, making the community a city unto itself. 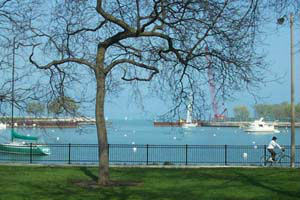 The highlight for many residents living in this neighborhood is beautiful Lincoln Park. This park features beaches, a botanical garden, playgrounds, tennis courts, athletic fields and other facilities to encourage family-friendly activities. The Chicago History Museum and Notebaert Nature Museum are part of the park and showcase various exhibits and artifacts including a butterfly garden. Lincoln Park Zoo is one of the nation’s oldest zoos, and probably the only major zoo that is still a free attraction. It is home to over 1200 species of reptiles, amphibians, birds and mammals, and offers education and conservation programs for groups of all ages. 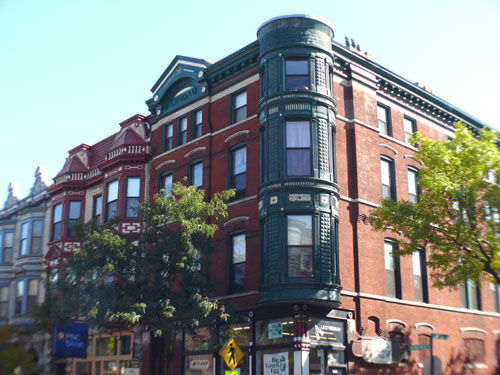 From the friendly ambiance to its unique architecture, Lincoln Park has a charm not found in many of Chicago’s neighborhoods. St. Vincent de Paul Parish and St. Josaphat Church rise above new construction and vintage greystones tucked along tree-lined streets. It is not uncommon for residents to spend a quiet Saturday browsing through the vast number of shops, boutiques and cafes located in this district. 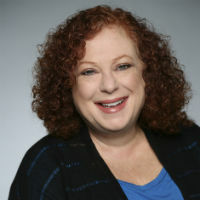 Other popular activities in Lincoln Park watching a dramatic or musical performance at Steppenwolf Theater, Royal George Theatre, Victory Gardens Theater, Apollo Theater, Park West and Theater On The Lake. When Lincoln Park residents need to go to work or school, the neighborhood’s location north of the Loop makes it convenient for commuters. Three lines of the Chicago Transit Authority’s Rail System, or the “El,” run through Lincoln Park from Chicago’s northern suburbs to the downtown area. Lincoln Park is home to DePaul University – one of the country’s largest private education institutions with more than 23,000 students enrolled. The faculty at DePaul focuses on preparing students in more than 200 programs of study. Children attending Chicago Public Schools or private schools receive a well-rounded education at campuses scattered throughout the neighborhood. 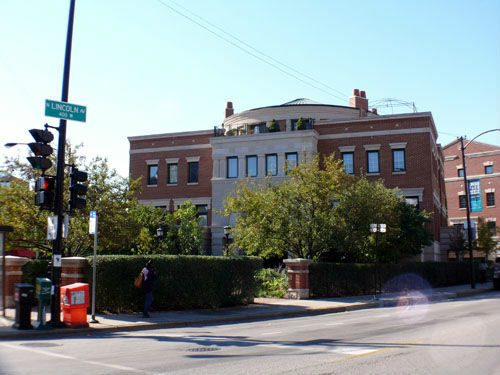 Real estate in Lincoln Park varies from the affordable to the extravagant. 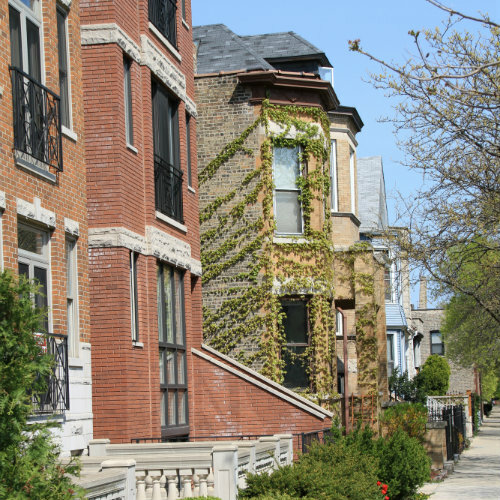 Single family homes, row houses and multi-family housing make up a portion of neighborhood properties and provide a wide selection for its diverse residents. Lincoln Park feels more like a suburb than an urban community, but that small-town character is what appeals to many people. Whether you prefer a third-floor condo or historic greystone, we can assist you in your home search. 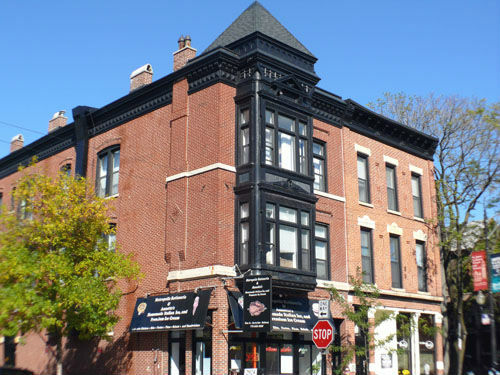 If you are planning to sell Lincoln Park real estate, we will use our vast knowledge of the Chicago real estate market to ensure a smooth transaction.